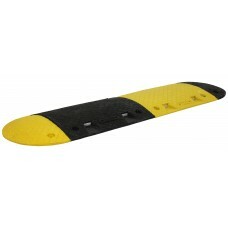 These are used to provide access for either vehicles or pedestrians (including wheelchairs) to curbs or ledges. 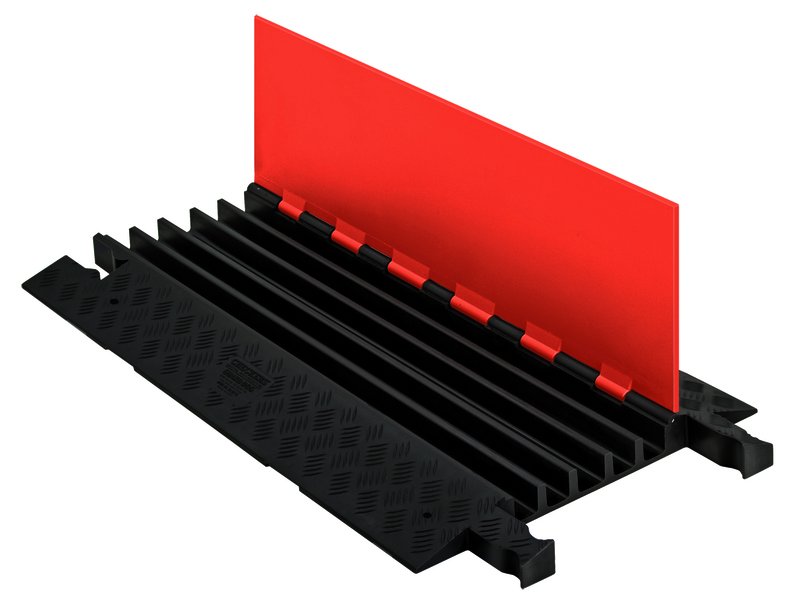 The black curb access ramps offer a hose protection channel as a secondary function . These serve the purpose of slowing traffic down, again they have a secondary function of offering cable protection if needed. Wherever cables or hoses have to cross a roadway or pedestrian area it is essential that they are sufficiently protected to prevent damage and crushing from passing traffic, it is also important that they do not become a trip hazard for passing pedestrians. 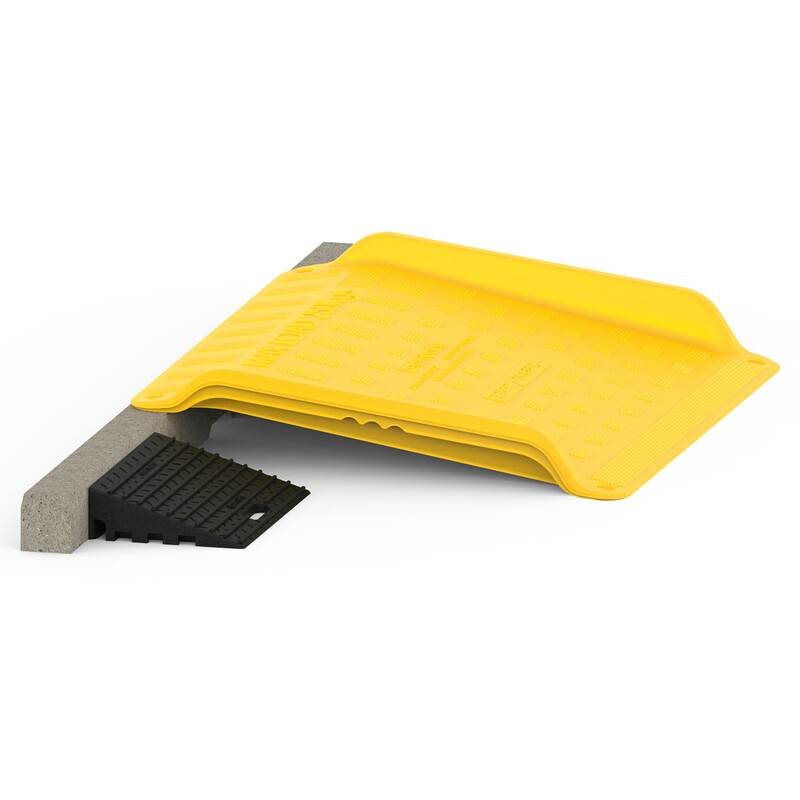 Our extensive range of cable and hose protection ramps from Checkers Industrial Safety Products® means that any utilities and cables on your site will never again be left unprotected. 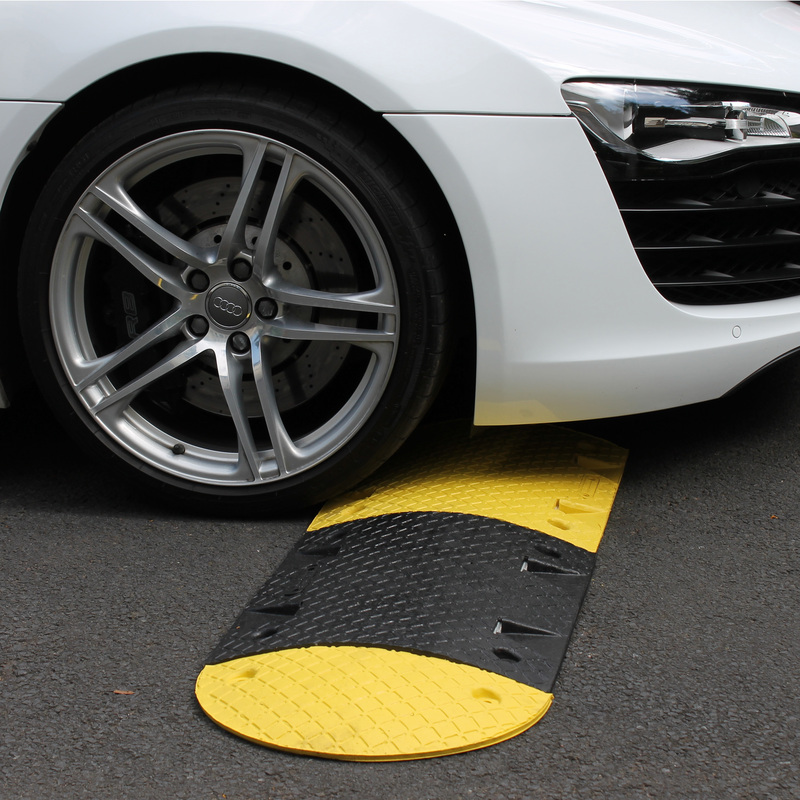 There are several grades of cable protection available, including those designed to deal with heavy mining equipment such as the Extreme Crossover Pads, and those that are more suited to dealing with mostly pedestrian traffic such as the YELLOW JACKET®. Checkers produce some of the best road, plant and mining safety products on the market. With years of experience and millions of dollars spent on research and development, you can be sure you are getting a great product. Popular with gas, oil and mining industries. In production for over 30 years, “tried and tested” design. Excellent for the entertainment industry, transport yards, and ports. 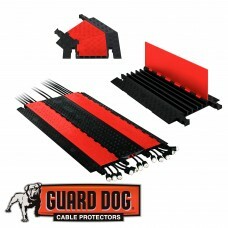 Guard Dog Cable Protectors are one of the most versatile cable protection products out there. Ideal for pedestrian and vehicle traffic. Ideal for entertainment, concerts, and festivals. 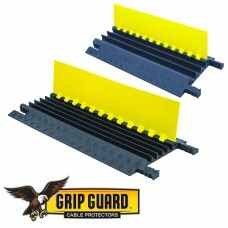 Strong and durable, ideal for light commercial, entertainment, and utility applications. How do I know which type of cable ramp I need? It is important that you choose a cable protector that is suitable for your application, in that it is big enough to accommodate the dimensions of the hose or cable you wish to protect, as well as shield it from any load applied from above. Speak to our sales team toll-free on (800) 671-9662, we will be able to assist you with any questions you may have as well as help with choosing the right cable and hose protection system for your needs.